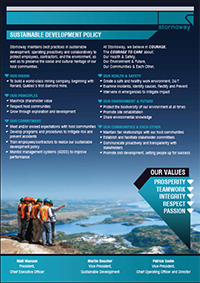 Stornoway’s use and protection of water resources represented a major commitment under the environmental and social impact assessment in 2014, and will continue throughout the life of the mine. From the first day of construction, Stornoway constructed storm-water management infrastructure in order to secure its earthworks. A temporary water-treatment plant was also installed at the beginning of construction to capture sediment from excavation. True to our commitments, the beginning of construction of the Renard mine also initiated the beginning of rehabilitation. 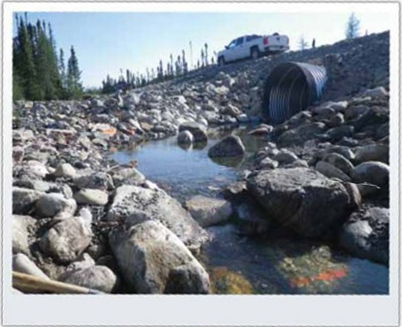 2014 consisted of the rehabilitation of quarries along Route 167, and the restoration of fish habitat in rivers along the old winter road. 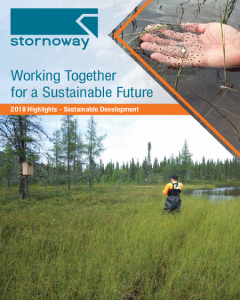 Many mineral exploration sites owned by Stornoway throughout Canada were also the focus of rehabilitation work in order to mitigate impacts of our work and to contribute to the well-being of future generations. 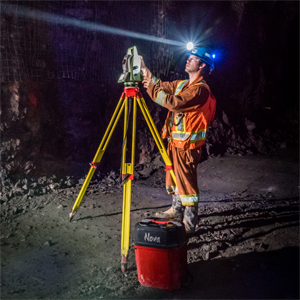 The beginning of construction of the Renard mine allowed Stornoway to implement innovative environmental management with the introduction of internal approvals ‘Eco-permits.’ An Eco-permit must be obtained prior to beginning work, allowing us to ensure government approvals. This authorization allows us to ensure government approvals have been received, environmental mitigation measures are applied, and that all applicable regulations for work were identified and measured. 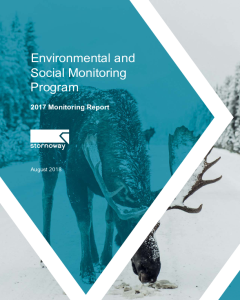 More than 60 Eco-permits were issued by the environmental monitoring group in 2014. This initiative has influenced our environmental performance, as well as has increased the proactive engagement of workers protecting our host environment. Stornoway implemented an extensive waste and hazardous materials management program at the Renard site at the beginning of construction. The management program is based on three complementary approaches that guide management practices and corporate policies.